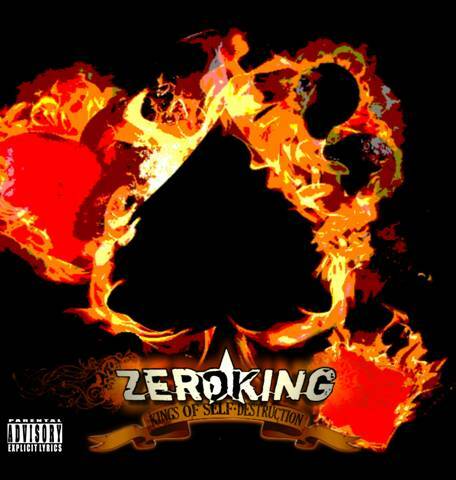 Caught somewhere between old school and new school Huntington, West Virginia’s Zeroking are a band that should be all over radio… NOW!!! These guys describe themselves as “a hard rock/metal party” and that’s pretty accurate. Zeroking brings influences from bands like Guns N’ Roses and Motley Crue but adds a modern hard rock touch of their own just in the way that Hinder and Buckcherry have done. Any fan of Buckcherry & Hinder should find plenty to like here. The band has found a great middle ground for classic rock and new rock. Zeroking fits modern rock radio stations and fans of Adelita’s Way, Sick Puppies, Sixx:A.M., Skillet and Pop Evil will like these guys. The band wastes no time by opening the album with “Dead Rock Star”. My favorite track on the album and would be my choice as a single. Very catchy stuff that will appeal to the new old school and old school. “She Said” is a modern hard rock song that I could also see getting play on radio. “Southern Lady, Ex-Godiva” has a southern rock swagger to it that will draw comparisons to Buckcherry or the last Hinder album. “Love Is Dead” is another great tune that has single potential with lead singer Andy Haught sharing vocals another Huntington native Stacee Lawson (whose voice reminds me of Stevie Nicks). Through the sleaze & swagger of the rest of the album, the album starts to wind down on a sensitive note with “Valentine”. This is a really good ballad and, again, could be a single. “Leaving Los Angeles” is a great semi-laid back rock rock/pop tune that closes the proper album (the final three tracks are alternative versions) and sounds like Sixx:A.M.
Zeroking are a band that have a lot of things going for them on Kings of Self Destruction. The production is very well done and the songs will appeal to a broad range of hard rock fans. They are old school and melodic enough for ’80s fans yet current enough to grab the ear of fans of the modern rock scene. Check this album out and help spread the word about this great young band.